It’s a universal necessity to use the toilet for your natural urge to get relieved, but it is not necessary that the toilets should be similar, around the globe. The cleanliness, hygiene, plumbing process and sanitation system vary from place to place and country to country. 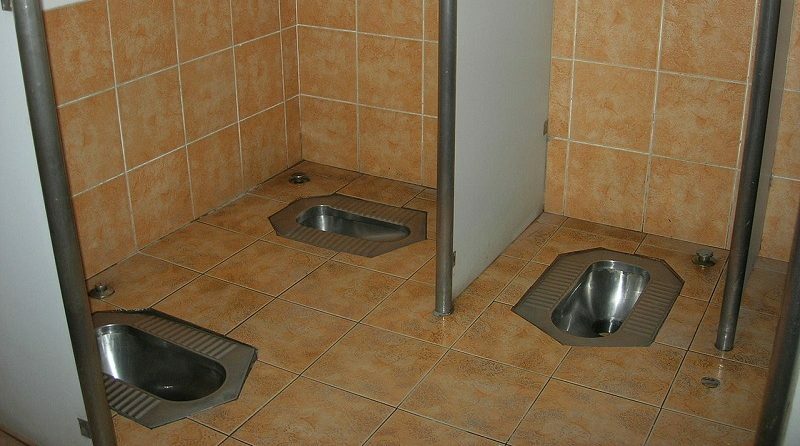 You can expect a French toilet quite different from a Chinese one. The shape and function of the toilets are different all over the world, so is their uses of toilet papers or position to sit and use the toilet. We will discuss here various toilets in different countries which will help you to get a clear view if you are traveling or even if you just want to know the difference between cultures. European Toilets: European toilets are the same as the standard porcelain toilet system of the American or Western style toilet. The only thing is that western toilet sometime might have a pull cord instead of a handle. One particular feature called ‘bidet’ was invented in France around 1600 and currently European, Spanish, French, Portuguese homes. Padded toilet seats are also a popular fixture in Brazilian Toilet. Latin American or South American Toilets: The most no-no feature of the Latin American or South American toilet system is to not flush the toilet paper. It is not allowed because their system just cannot process the toilet paper. Flushing toilet papers cause clogs and severe plumbing issues even in the metropolitan cities. 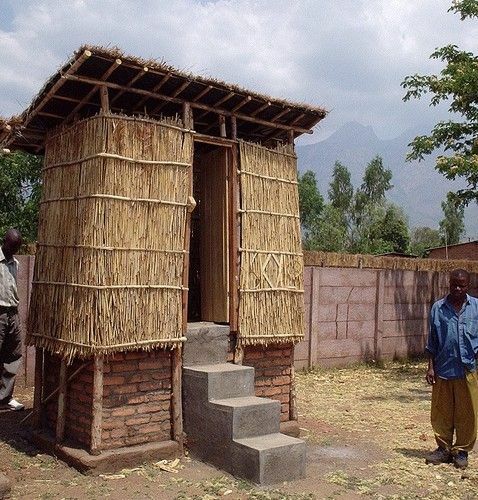 African toilets: In many sub-Saharan African places, they do not have a proper toilet, which raises sanitation issues. Most of the Africans use squat toilets whereas, in North Africa, they generally use western style sit down style toilets. Japanese Toilets: There are two types of toilets available in Japan, one is the old squat type which is used mostly in the public conveniences and the other one is the bidet style which is similar to the western cultured style. 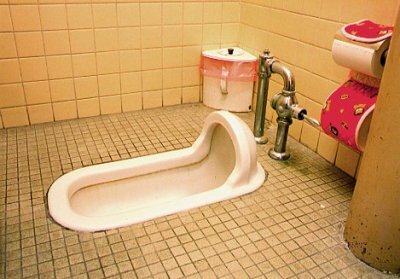 The bidets are commonly called as ‘washlet’ in Japan. The common features found in the bidet-style toilet of Japan are bidet washing, seat warming, and deodorization. Almost all the Japanese home have washlet toilet system. Chinese Toilets: Chinese toilets are actually considered as pits and Most of the toilets in China are squat toilets and it is a proven fact that it is beneficial for the digestive system. 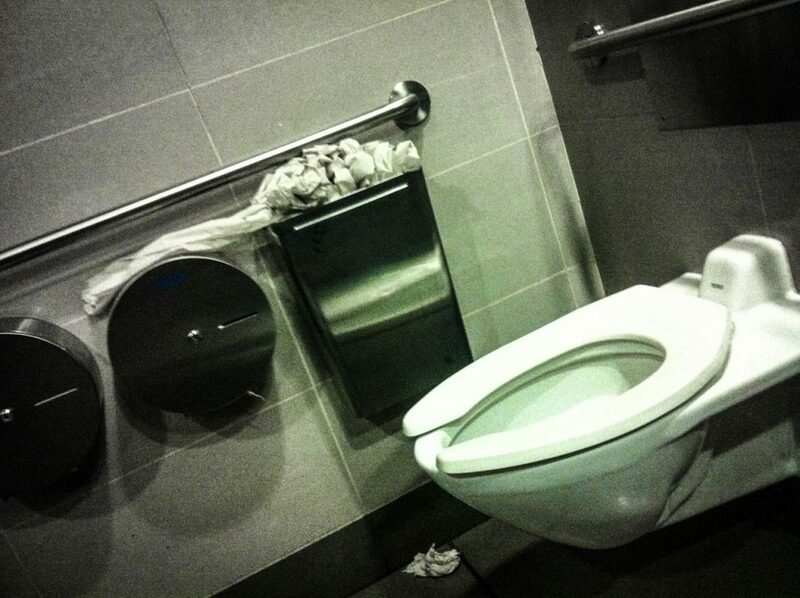 Big cities have at least one western style in public restrooms of the mall with separate cubicles. However, in many rural areas, there is still less privacy while using the toilet. Indian Toilets: Since the evolution of human beings, the squatting is the most natural posture for finishing your daily needs of the toilet. Indians are considered to be using the most authentic way to use the toilet. Along with squatting position the use of water is considered to be the most hygienic because a toilet paper is not only environmentally unfriendly but also expensive. Still, with time and globalization, the cities have been changed regarding the toilet usage and the western style toilets with water as well as toilet papers are used in most malls and urban areas including most houses there. However, in rural areas, the old-fashioned toilet designs are still very much common. Toilets in the air: Whether you stay at home, or in the air or maybe in space, you need to fulfill your daily needs by using a toilet. 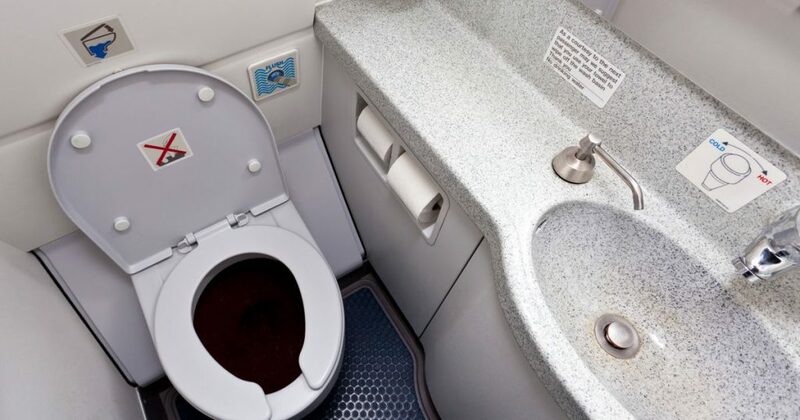 In modern aircraft, they use Teflon coated toilet bowl and a very strong suction to send the waste with a huge pressure in the holding tank. The space toilets use a vacuum system in the absence of gravity. The submarines have probably most complicated toilet system as they are always under huge pressure. Water efficient toilets: They actually saves valuable water everytime you flush. Recently all the new toilet systems use 2 liters of a water/0.58 gallon in the US. This has a positive impact in the future in saving natural resource. 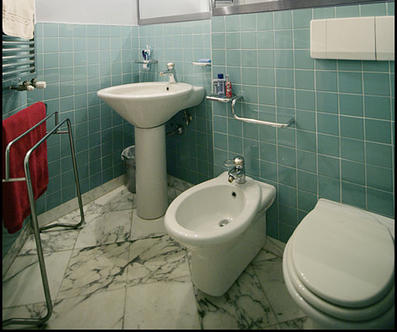 European or western water closet: The European styled toilet has a flushing tank attached and comes with a seat and cover. The cover needs to be closed while flushing and it is generally made with ceramic or plastic materials. A small amount of water is always trapped inside by a water seal. 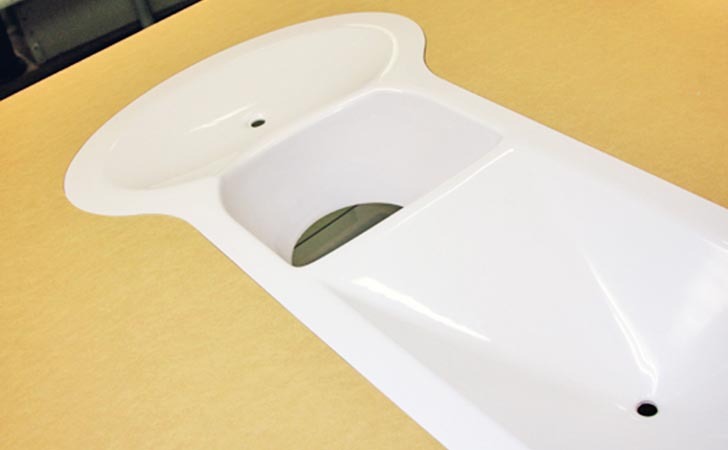 One-piece toilet: This type to the toilet does not need any separate flush tank because the tank is attached with the body itself. This is also called a single bowl toilet. Squatting Pan: Squatting pans are proved to be a healthier option than the comfortable European water closet. They are many times called Indian or Asian pans as they are mostly found in Asian countries, though the designs differ from each other. These classic toilets are the most cheaper and safer option. Kids, elderly and smart toilets: Kid’s toilets are designed especially for kids under 12 years and they are relatively smaller in size. They come in both water closet and squatting toilet types. Elderly toilets are designed for elderly or physically challenged people. They are around 70 cm in height. Smart toilets are the recent addition of intelligent toilets in which ceramic toilet is attached with the electric seat and the process depends on the smart seat cover. 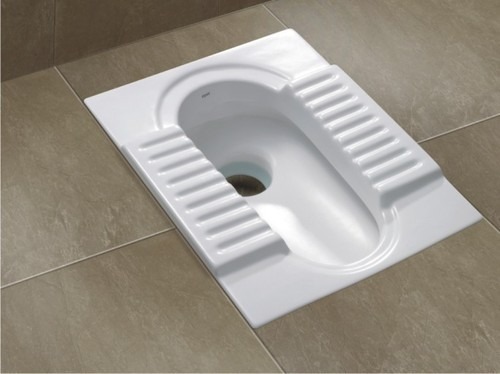 Rim-free Toilet: This is most common for the wall hung toilets which are round or oval shaped. Those new models provide an effective flushing and easy clean method. This is expected to be the new choice for the future customers. Tornado Type Toilet: This kind of toilet is designed to do dual work with a single flush. These round shaped toilets clean while flushing and makes the cleaning process easier. The Toronto Toilet: It is a fun process as the toilet has a similar system to the charcoal barbecue. It has a sand-filled and UV ray disinfection chamber to process the liquid waste to the smolder chamber to carbonize the solid waste in a flattened and dried material under a roller. The toilet is easy to maintain, sustainable and easily repaired. 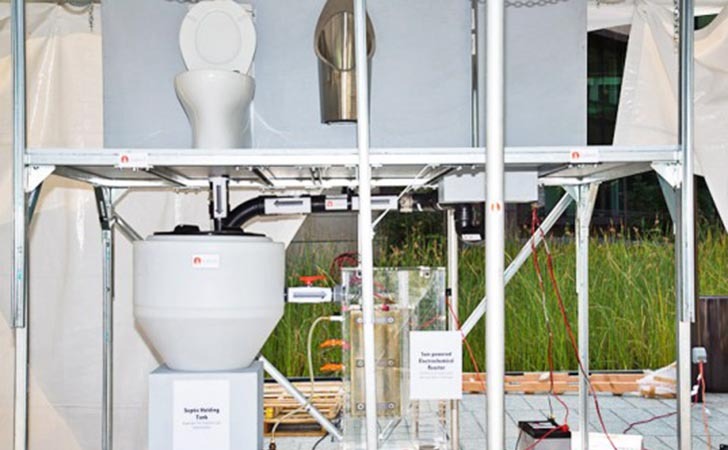 Caltech Toilet: This award-winning toilet, developed by the California Institute of Technology, is a self-cleaning, solar-powered eco-friendly system which transforms the liquid and solid waste into fertilizer and hydrogen. It has solar panels and a pump which sends water to the reservoir present in the top of the toilet and can be reused for irrigation. 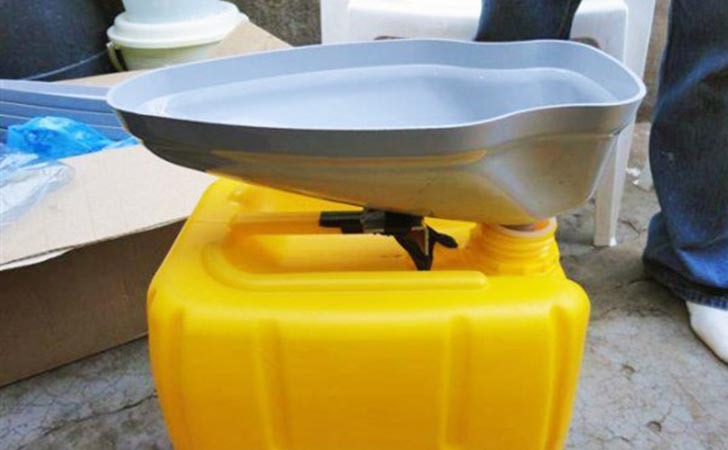 Ecological Urinal Toilet: This toilet was created as a solution for the people of Kampala where they had to share the same toilet. This ecological system collects urine in a sanitary way and turns it into high-quality fertilizer. 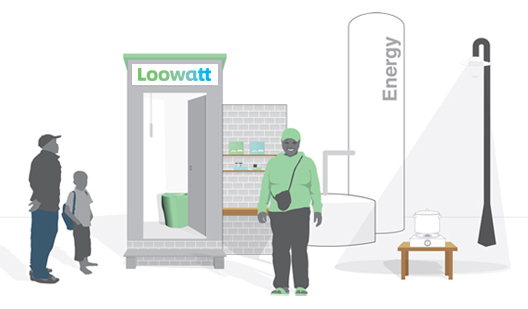 Loowatt Toilet: It is another sustainable toilet system which transforms human waste into biofuel. It is a waterless toilet system has a biodegradable lining that stores the waste in a sealed and odor-free container which in exchange provides a free strong source of energy for cooking etc. 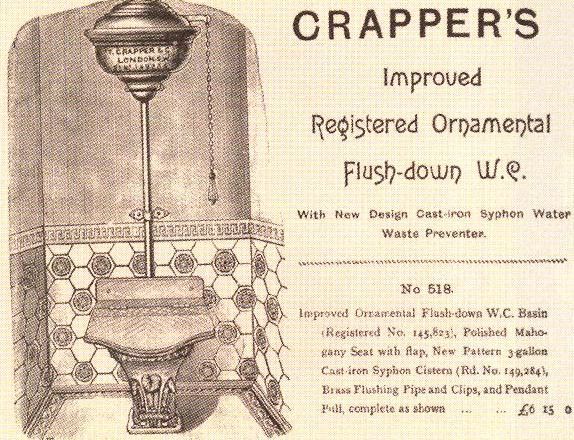 The Crapper: This unit stands for Compact Rotating Aerobic Pollution Prevention Excreta Reducer. It is an incredible system which is rotatable bio-drum is a self-contained compost toilet. The different cultures in the world have different ways to use toilets and the innovative designs had made each of them unique. Various technologies can be used to create the toilet that is suitable for different purpose and needs. People choose the toilet system according to their respective requirements.